The innovative wound and skin care system for the entire body. Body cleansing using water and soap, time intensive drying and appropriate relubrication of the skin is time and cost consuming as well as hygienically dubious. 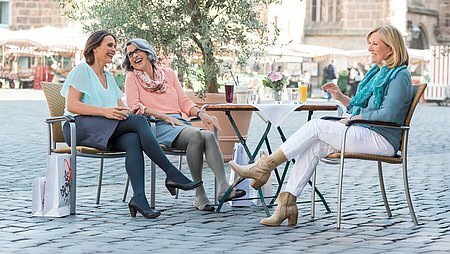 Easyderm sets new standards. The cleansing system Easyderm cleans gently and cares for damaged skin. 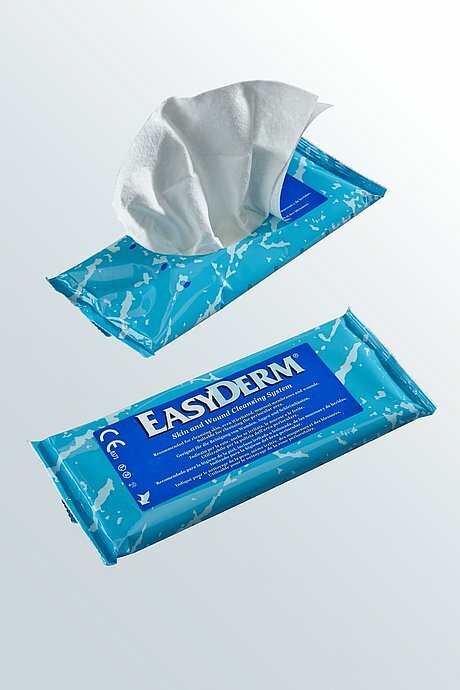 Easyderm can also be used at eyes and mucous membrane. The contained cleansing solution forms a film which is quickly absorbed by the skin and keeps it moistured and soft. Easyderm cleans and cares for the skin during every washing. It is available as cloth and glove. Skin cleansing after removal of plasters, wound dressings, etc. 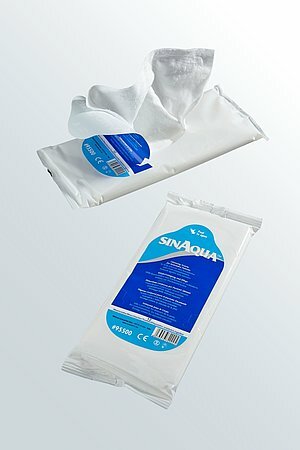 Each packaging contains eight cleansing cloths which can be used for cleansing of the whole body in accordance with current hygiene standards. If required Easyderm can be heated by micro wave to increase patient comfort.ed for cleansing of the whole body in accordance with current hygiene standards. 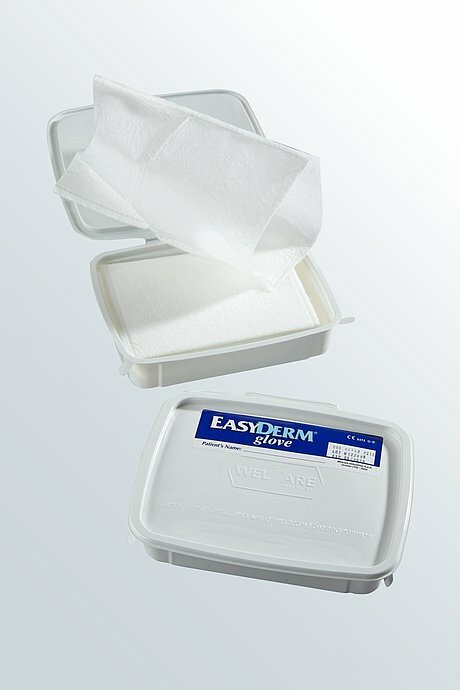 If required Easyderm can be heated by micro wave to increase patient comfort.